Heart and brain synchronisation: from high beta to beta, then alpha, theta and delta brain rhythm, touching on the high performance gamma range. Ways to access preferred brain wave ranges using the 3 P’s (practice, patience and perseverance). Epigenetics, DNA activation and EPS (emotional positioning system) process work, tuning into the right brain (and right mind! ); thoughts, emotions and resonant brainwave patterns; unconditional love as key business tool of the new leader: the heart as brain! i. Full executive screening, incl. Live Blood Analysis, Cardiac Age Risk Analysis, medical risk assessment, stress assessment, Wellness Inventory on 12 aspects of life, etc. iv. 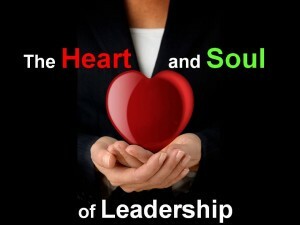 Final half day group workshop to integrate learning and knowledge gained into an approach to leading from within. James Morotoba (General Manager) – Profound and true trigger of self discovery. A good follow up session would complete this revolutionary cycle. I experienced this as significant personal transformation and it far exceeded my expectations. Wanda van Zyl (Protection Services Manager) – I have found the sessions very educational, relaxed and meaningful. I will think different about things and found other meaningful things life offers. Presenter is calm and has very positive influence on the students. I have found the sessions excellent!! Dr Marius Pieterse: Mpumalanga Dept of Education – I found the workshop of great value in terms of coping with the many demands of my environment. 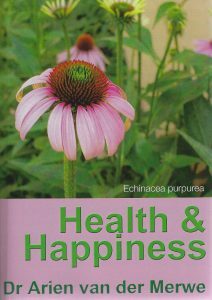 I have learnt a lot about wellness and health without involving schedule 4 and 5 medicine. Practical examples of relaxing and combating stress would definitely be incorporated in my life. Thank you! The workshop was excellent! To summarise: It was mind enhancing, brought a sense of living optimally, gave us a sense of finding out who we really are, accepting ourselves through all the challenges of life to face the world totally with a positive mind set; that good and best, will always overcome the bad ideas and happenings and we can each be a positive change person! 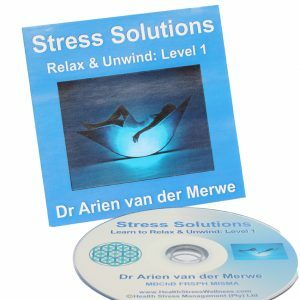 Dr Arien van der Merwe is a medical doctor, public speaker and trainer, internationally published author of 19 books and training manuals on health and wellness. Dr Arien is a specialist corporate health and wellness service provider, with 18 years’ experience in training, workplace wellness, stress management, and a body-mind-heart-soul approach to executive wellness. Shewas the Medical Specialist, Health and Wellbeing, for EOH Health and the appointed Editor for the Integrative Medical Journal SA. Dr Arien writes for, and consults regularly, too many magazines and journals in South Africa, and is a regular guest on radio and TV. She is an elected Fellow of the Royal Society of Public Health in the UK, for the work she does in South Africa to promote public health and wellness through education, training and communication. 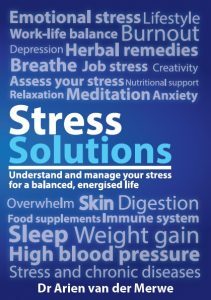 She is also a Member of the International Stress Management Association, UK branch. Arien believes in a holistic, integrative approach to optimise health and wellbeing. For more information, please visit www.drarien.co.za.